A woman’s appearance on the outside is generally a good indication of what’s going on inside her body. Especially when it comes to having beautiful skin. Bad habits such as smoking and consuming high-fat, high-salt diets deprive the body of the important nutrients your precious skin needs to retain its youthful glow. But that’s not all. On top of this, toxins may build up in your body which may show up in the condition of your skin, often making an appearance as acne, eczema, psoriasis, dermatitis or just plain old zits. No amount of external treatment with creams, lotions or magic potions will ever prove to be a permanent solution in these cases because you need to get to the root of the matter, which is internal. Life really can be cruel sometimes. The truth is that a truly radiant, blemish free and hydrated skin is the result of being totally cleansed – and not just on the surface, I mean from deep within. Providing you are in good health and not already suffering from the effects of toxicity, your body has an amazing ability to transform, neutralise and eliminate toxins efficiently, but it never hurts to lend a helping hand by eating sensibly and avoiding products that are awash with harmful chemicals. Your body is made up of various internal organs that are responsible for providing and maintaining beautiful, glowing healthy skin by cleansing your body of waste and potentially lethal toxins. These organs include the liver, kidneys, adrenals, thyroid gland, and the large and small intestines. Let’s take a closer look at these organs of beauty. The liver is the main organ responsible for detoxification in the body due to its many metabolic functions, although the kidneys play an important role as well. Together, they are the two critical filtering organs that continually provide what you might like to think of as your body’s ‘housecleaning services’. These organs are hard-working and seriously undervalued, so don’t overload them with the unnecessary burden of too much alcohol and toxins etc. Lying on top of your kidneys are the walnut-sized, butterfly shaped adrenal glands. These organs are often called the ‘workhorses’ of the human body since they are responsible for making a number of essential hormones such as estrogen, progesterone, testosterone, and pregnenolone and 5-dehydroepiandrosterone (DHEA). A plentiful supply of these hormones is vital for your general health, energy, and of course, beautiful skin. Located in your throat, below your Adam’s apple, is the thyroid gland which controls how quickly the body uses energy, makes proteins, and controls how sensitive the body should be to other hormones. The underproduction of thyroid hormones creates a condition known as hypothyroidism, and typical symptoms include abnormal weight gain, tiredness, sleep problems, baldness, cold intolerance, and a dangerously slow heartbeat (bradycardia). Note that dry hair, brittle nails and a sluggish, flaky complexion may be symptoms of a weak, underperforming thyroid gland. However, if your thyroid is well nourished and productive it is quite capable of providing sufficient hormones for all the needs of your body, and also works closely with your adrenals to form essential energy. Studies have revealed that the general wellbeing of your liver, kidneys, adrenals and thyroid is dependent on the general condition of the small and large intestines. Aside from providing nutrients to these organs, the small and large intestines hold the responsibility of removing whatever waste product is accumulated in the body. If the small and large intestines fail to perform this role, the waste that was destined for elimination will remain in your intestines and lead to a whole range of serious illnesses which can manifest as eczema, various skin problems and a generally poor complexion. The appearance of your skin can often reflect the internal condition of your intestines. Several reports have noted that drugs, alcohol, chemicals and heavy metals like lead and mercury can cause damage on a daily basis to millions of people around the world. The liver is primarily damaged by refined vegetable oils containing trans-fatty acids, while the kidneys are damaged by the common table salt that is devoid of natural minerals. Please take note that the majority of processed foods most people consume everyday are saturated with trans-fats and refined salt. In addition, it has been discovered that pasteurized and homogenized dairy products tend to clog the kidneys, therefore it’s a good idea to limit the intake of these too. 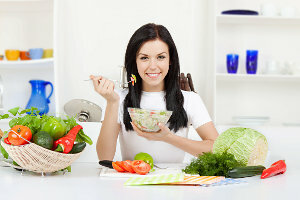 Ultimately, to attain healthy, beautiful skin you need to ensure that you eat a healthy, balanced diet to nourish those vital organs of the beauty. The takeaway from all this is the fact that beautiful skin does not come from a jar alone, and it can’t be achieved by endless aromatherapy facial treatments either. To really have a great complexion, your body’s organs must be working efficiently to both remove toxins and deliver the vital nutrients derived from a balanced diet to your skin. Only then will all the other treatments you use externally begin to contribute to the condition of your skin. So remember; when thinking about beautiful skin, think about your organs of beauty and be sure to keep them clean and green with a healthy diet. The liver is one of the most active of all organs; it manufactures cholesterol, filters toxins from the blood stream, produces bile to break down fats, stores sugars, and metabolizes vitamins, minerals and proteins. And that’s not all; it regulates hormones, stores nutrients such vitamins A, D, B12 and iron for release when needed, converts lactic acid from a toxic waste to an important storage fuel, removes some fat-soluble toxins from the body by first dissolving them in bile salts, then transports the bile and toxin mixture into the intestine for eventual excretion. 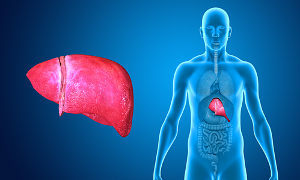 The liver also activates B vitamins into their biologically active coenzyme forms, and creates Glucose Tolerance Factor (GFT) from chromium, niacin and possibly glutathione. GFT is needed for the hormone insulin to properly regulate blood-sugar levels. The liver also regulates body functions which affect emotional and mental activities. Many experts suggest that green foods such as kale, dandelion greens, broccoli, and especially chlorella (a form of algae), are excellent choices for the liver. Others include mineral-rich food such as dark green leafy vegetables, cereal grasses, ocean vegetables, seafood and algae’s. Antioxidant-rich foods like blackcurrant and blueberry juice and green tea are a daily must as well. Interestingly, these foods are what many nutritionists consider as the best for healthy, beautiful skin too. What a coincidence! All of these are ideal when eaten in the morning because they assist the acid-alkaline balance of your blood, increase metabolism to produce more energy, and provide minerals, fatty acids and protein to the body.